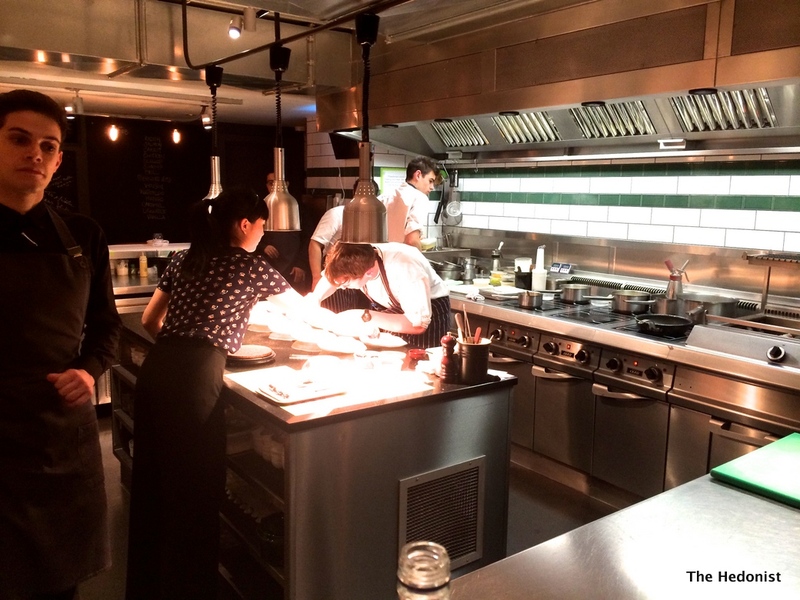 Imagine you’re an up and coming young chef (James Knappett), you’ve worked at the top end of international fine dining at Noma, Per Se and Marcus Wareing, and your wife is the sommelier at Simon Rogan’s Roganic (Sandia Chang). Maybe over a coffee the two of you are idly dreaming about opening your own place. 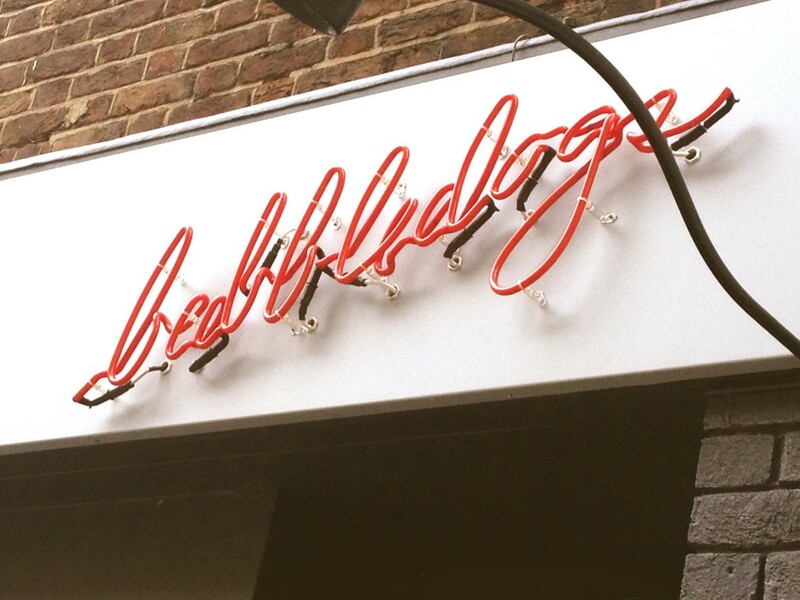 You want to create something different-something with strong branding and good margins that will draw in the punters…and so Bubbledogs was born, a surreal and inspired fusion of gourmet hot dogs with grower champagne. But Knappett had a cunning plan and sitting at the back of the fizz and dog emporium is his intimate fine dining joint Kitchen Table. The name tells the story as the 19 diners are seated around the chef’s station on high stools so you really feel part of the action. 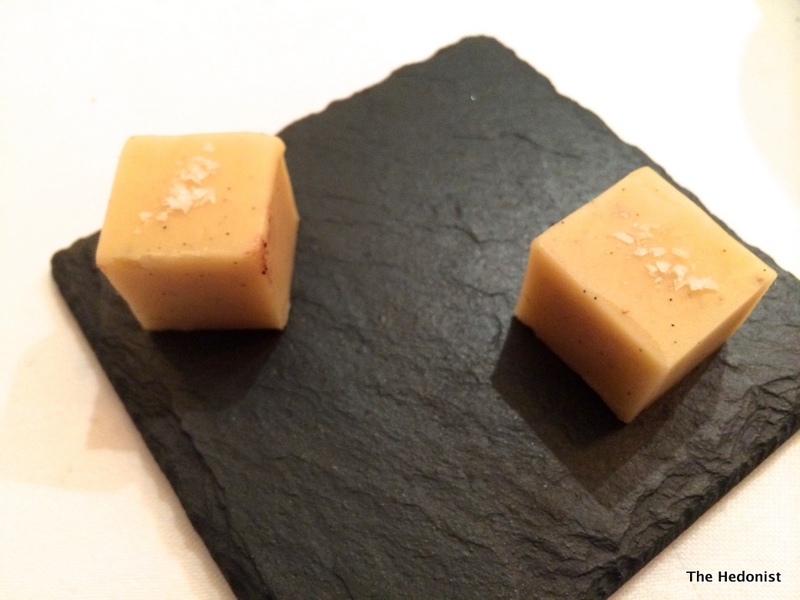 You come for the tasting menu of 12 – 14 courses at £88, with a wine flight at an additional £68. Her ladyship and I didn’t go for the wine pairings and chose a mineral and reasonably priced Txacoli (Basque cava) instead. 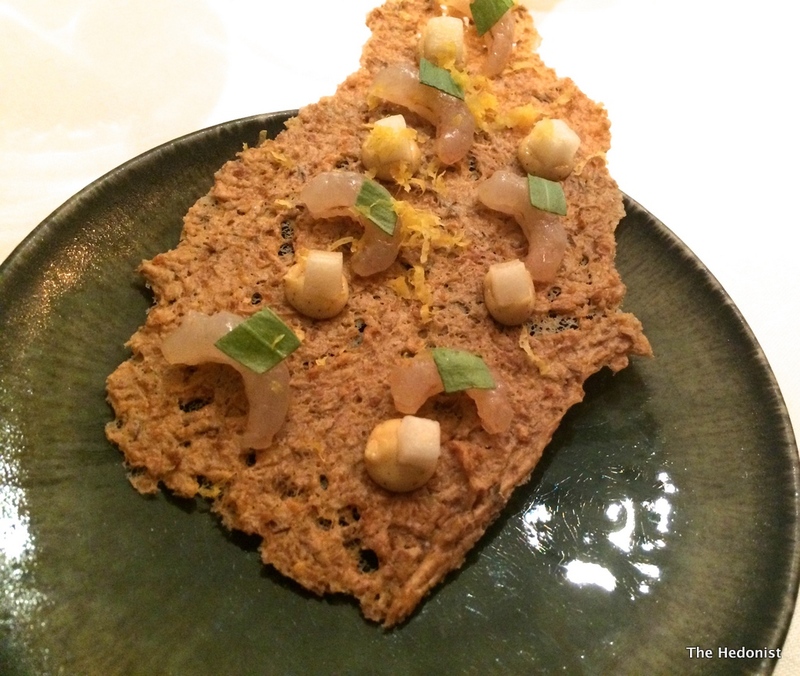 The food service opened with smoked brill roe, dried yuzu zest and baby radish. 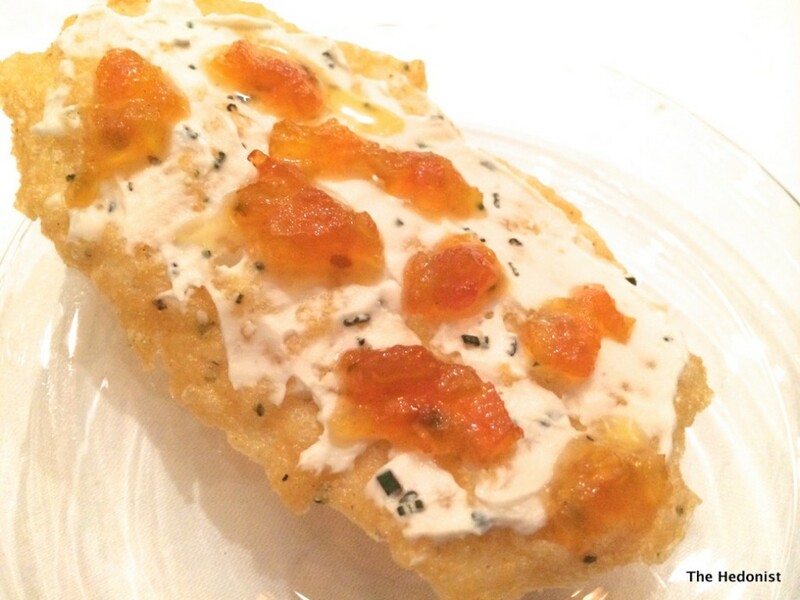 The roe had a subtly fishy taste, like a properly made tarama, and a creamy texture. 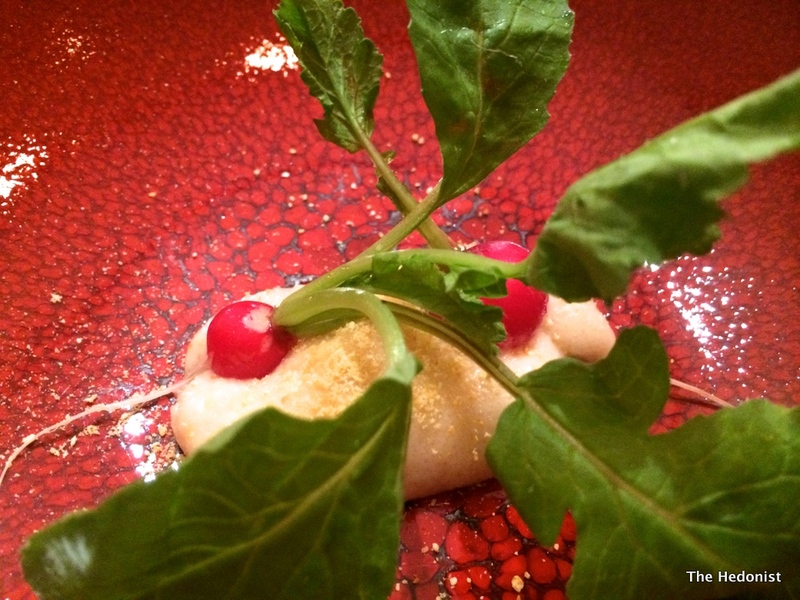 The citrus of the yuzu spiked things up and the sweet crunch of the radish gave contrast. 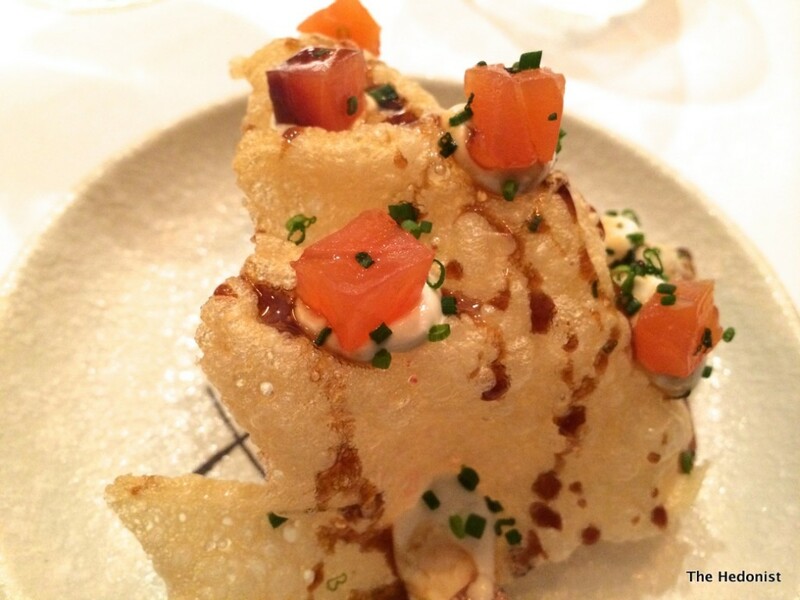 A potato water cracker was studded with sour cream, salmon from Maldon and brown sugar from Beijing. It was a crunchy breath of sweet fishiness. Cornish raw shrimp came with pearl barley crisp bread, pear and tarragon, brown butter and lemon zest. This dish was the one misfire of the evening for me simply because the shrimp were lacking in flavour-apparently they are a particularly rare variety but their scarcity value didn’t translate into flavour. However a purple heritage carrot cooked in pickling liquor with sorrel and creme fraiche was another iteration of the sweet crunchy trope. as was the chickpea wafer slathered with marscapone and blobs of a chilli tomato jam. 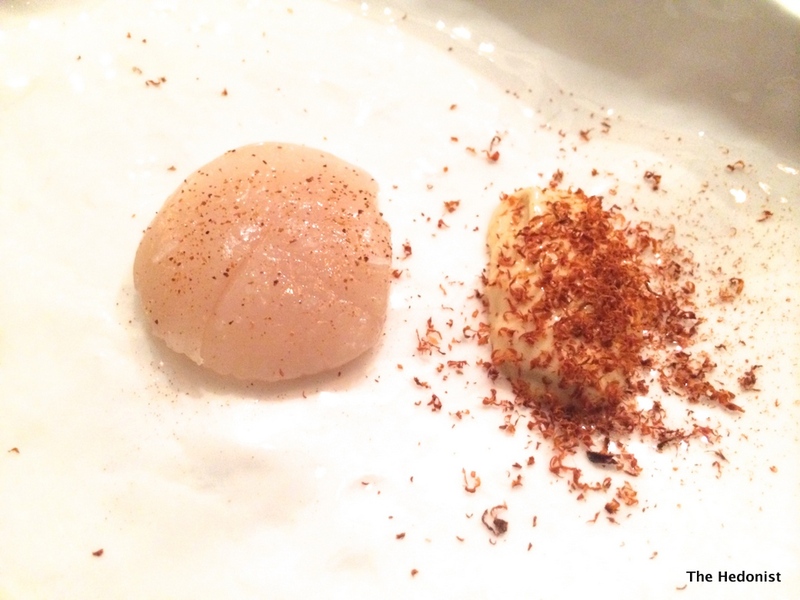 A scallop was perfectly roasted and perked up with dried chilli and a gentle ginger mayonnaise. 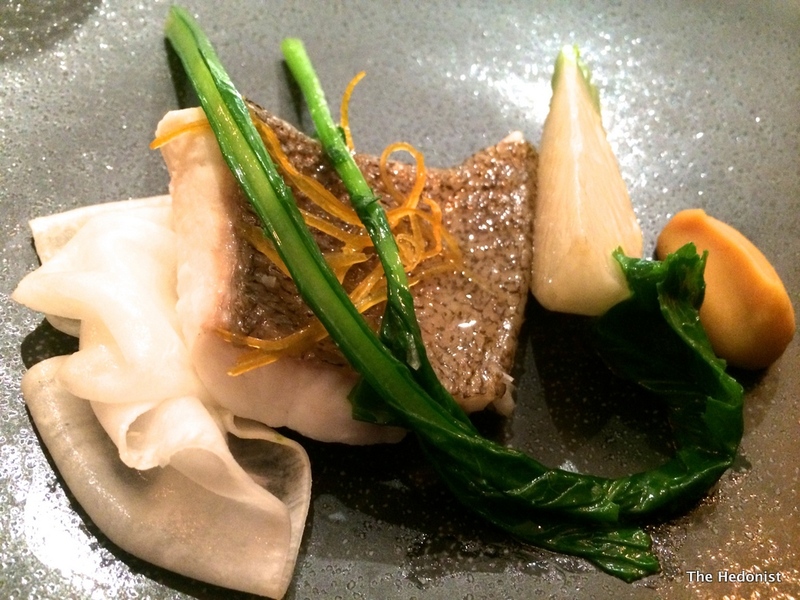 Perfectly cooked brill came lightly steamed with turnips from Tokyo and a home-made miso and lemon paste. 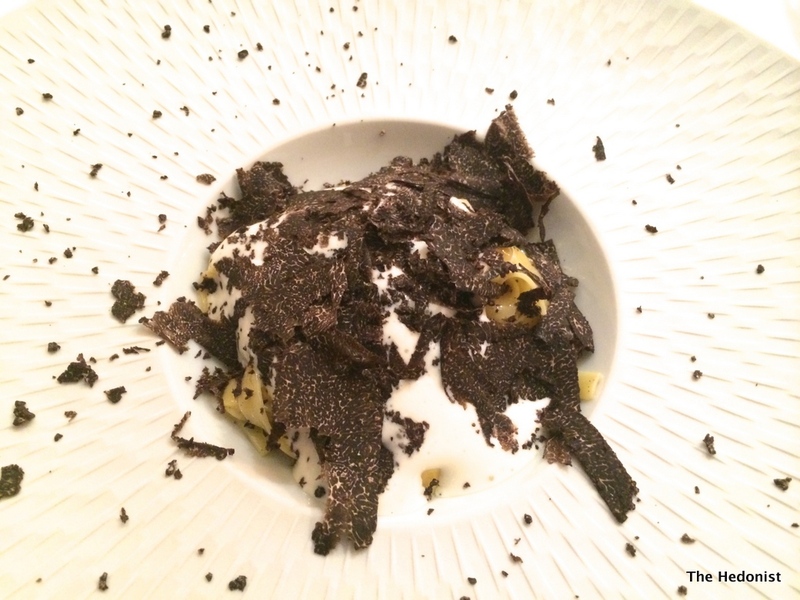 For a supplement a dish of Perigord truffle with pasta in a champagne sauce was wonderful. 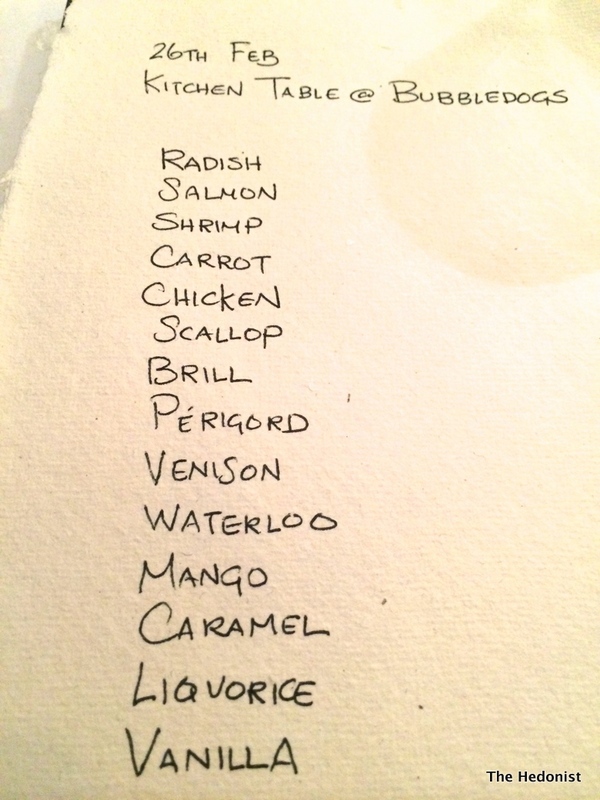 This dish felt like a very contemporary articulation of fine dining. Simple and luxurious. 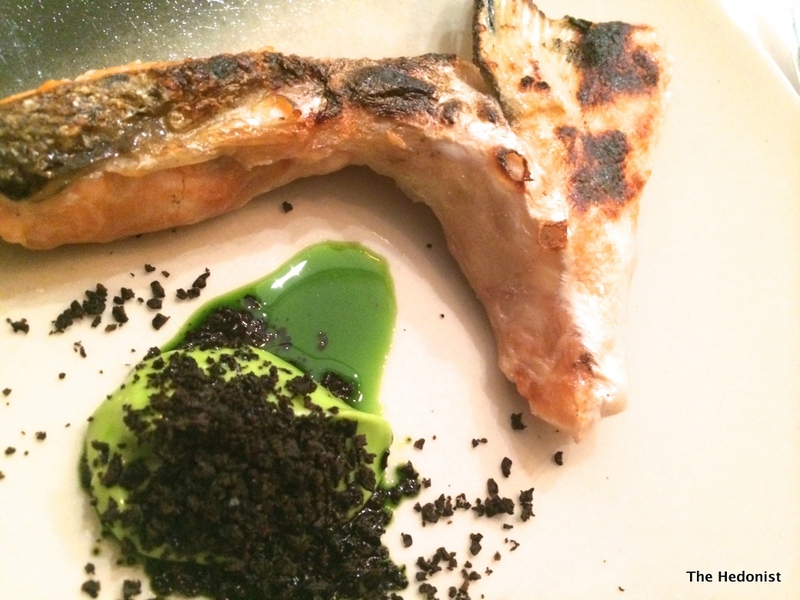 Salmon collar was charcoal cooked coming with a parsley mayo and a candied olive. The fish was deliciously fatty in flavour and was the salmon equivalent of Toro tuna. 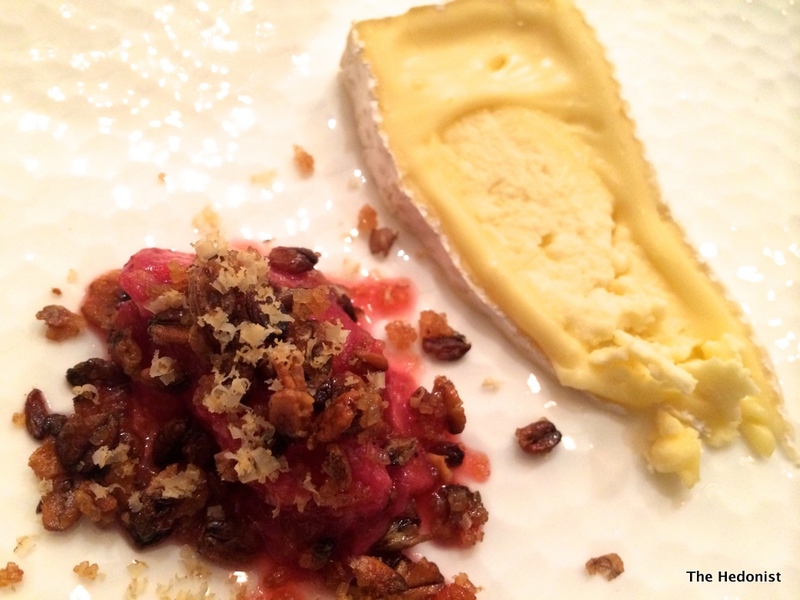 A creamy Waterloo cheese came with sweet-sour rhubarb and the crunch of toasted barley. 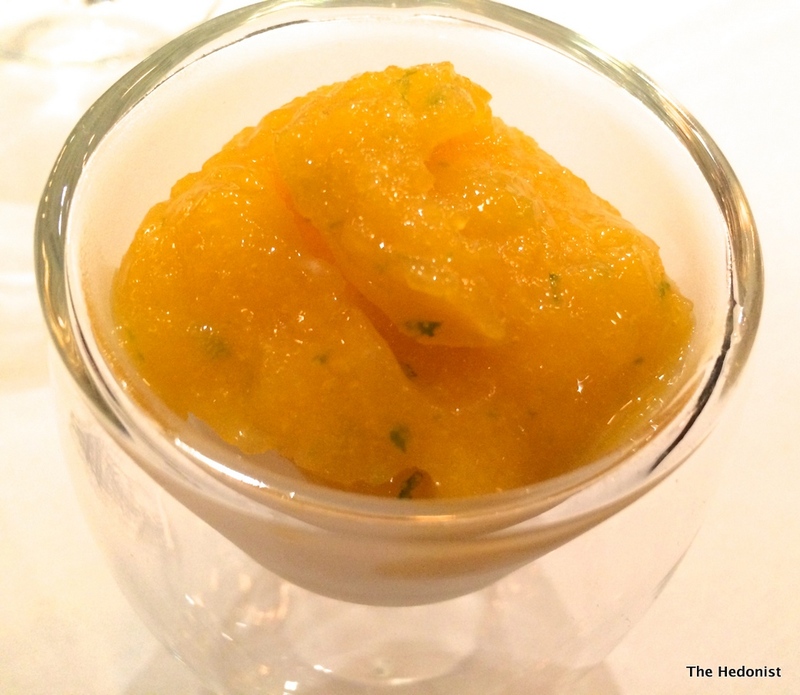 A mango slush puppy was a fantastically refreshing mango ice made with coconut water. 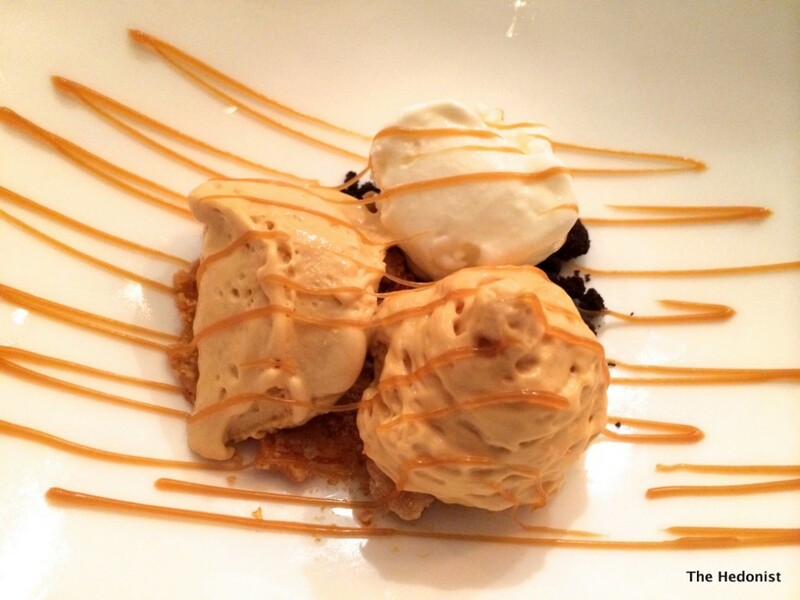 Milk, cookie dough and caramel ice-cream were fantastic. 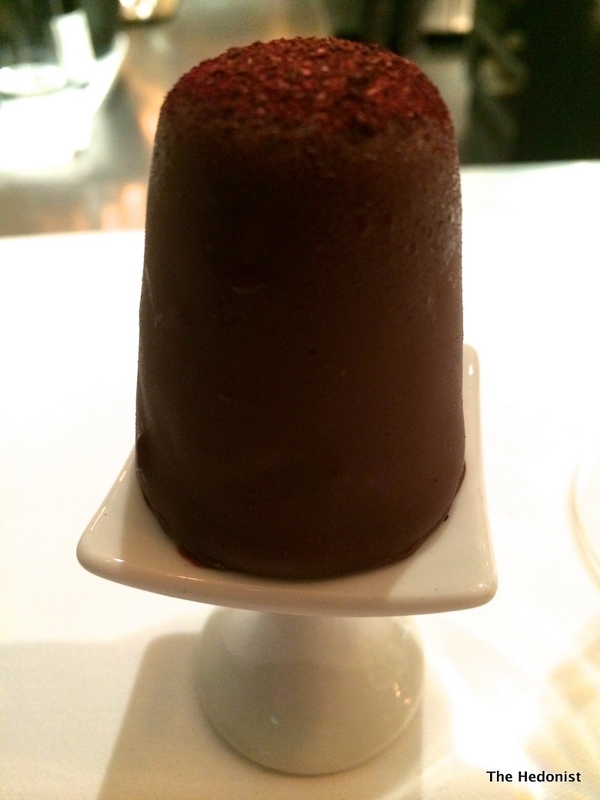 Roasted liqourice ice cream was coated in chilled dark chocolate over a hibiscus biscuit base. The gentle liqourice flavour was offset by the crisp bitter chocolate. Salted Madagascar vanilla fudge slipped onto the tongue with a lover’s caress. Gastronomically Kitchen Table is operating in the same kind of area as Lyle’s and The Clove Club, but the experience is so personal with James Knappett explaining and presenting each dish that has been prepared in front of you, that the whole fine dining experience is deconstructed. I think the whole operation is really intelligently put together and Knappett’s Michelin star is deserved. I’m sure he is a chef who will continue to develop new ideas and if they don’t franchise Bubbledogs soon they are missing a trick.